Charles Gancel, is a co-founder of ICM and has been a Managing Director of the company since its creation in 1983. Irene Rodgers, is a co-founder of ICM and has been a Managing Director of the company since its creation in 1983. Andreas works in German, French and English. Laetitia works in French and English. Monika works in German, English and French. Elena works in French, English and Russian. Nora works in French, English, Spanish and Italian. Canh works in English French and Madarin. 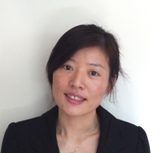 Xiuli works in french, english and chinese. Philippe works in French and English. Brice works in French and English. Patricia works in English, Portugese, Spanish and French. Sonsoles works in Spanish and English. Elisabeth works in Danish, English and “Scandinavian”. Ann works in English and French. Julie works in English and French. Sophie works in French and English. Fanny works in French and English. Sheila works in French and English. Zoé works in French and English.